Access to all the Awesome Support Developer Resources From A Single Location. Scroll down now to see them all! In-process: Phase 1 of documenting 400+ action and filter hooks is complete. Phase 2 is on-going with the goal of adding more examples and deeper documentation. 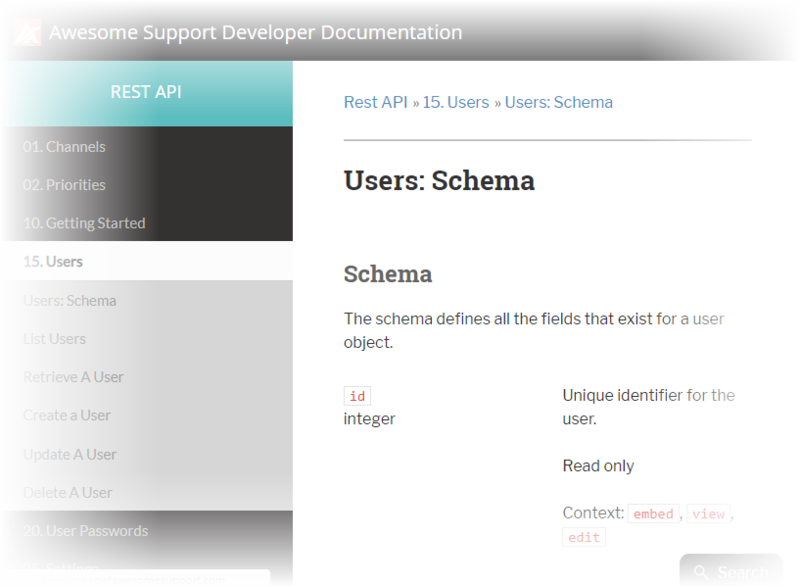 Developers who have used RESTFUL APIs will feel right at home with our integrated REST API. Our add-on template will quickly get you started building add-ons for Awesome Support. Get it from GitHub.